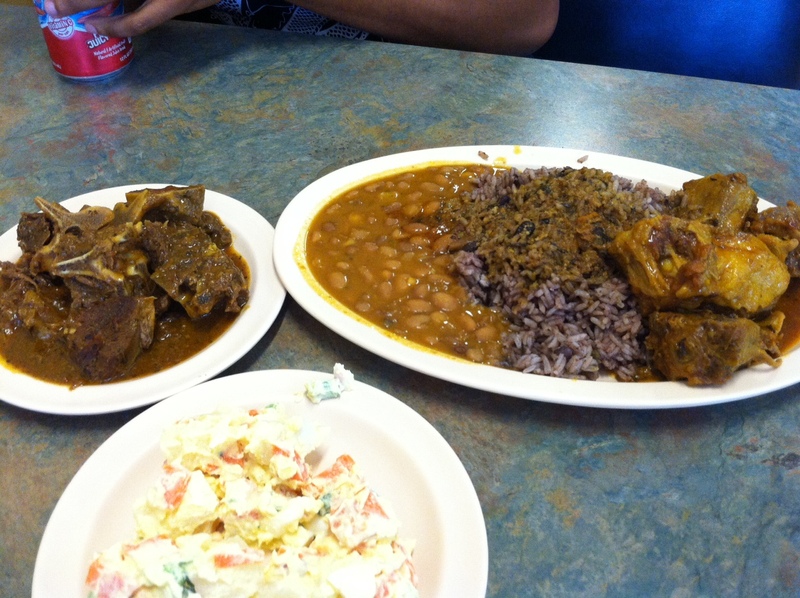 Stewed goat (left) and platter with oxtails, beans and rice and side of potato salad. After playing some mini golf recently in Duluth we headed over to check out Dominican Restaurant and Bakery in Lilburn. This place has lots of items ready to go along with menu items that are prepared to order. We tried some of each. The above plate came from the food line and everything was really delicious. The oxtails and goat were simmered in a thick gravy that went very well with the rice/beans. We also had an order of mashed plantains which is great for gravy soaking. 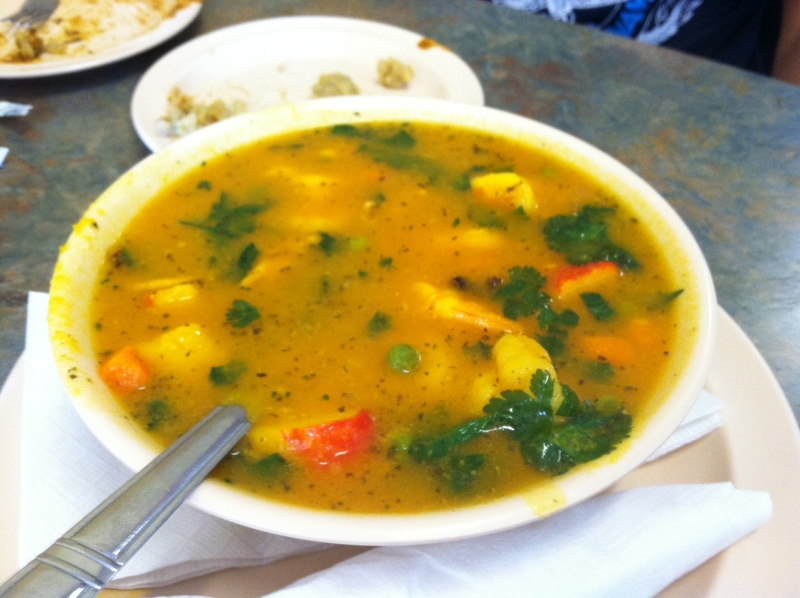 The below seafood soup was made to order and boy was it good! There is a spice in this that I am not familiar with but it made for very pleasant slurping and the seafood portion was generous, with shrimp (large and small), mussels and faux-crabmeat. This is a neat place to try if you've never had Dominican food before - definitely authentic. I also tried a piece of their flan to go (not pictured). It was creamy and delicious and contained coconut. There is also special Dominican cake that looked really good but I think most people are too full! !